A dual input differential thermometer which allows the user to carry out temperature measurements of two different points at the same time. The unit is supplied with K-type probes and has an impressive measurement range between -200°C to 1372°C (-100°F to 2501°F). 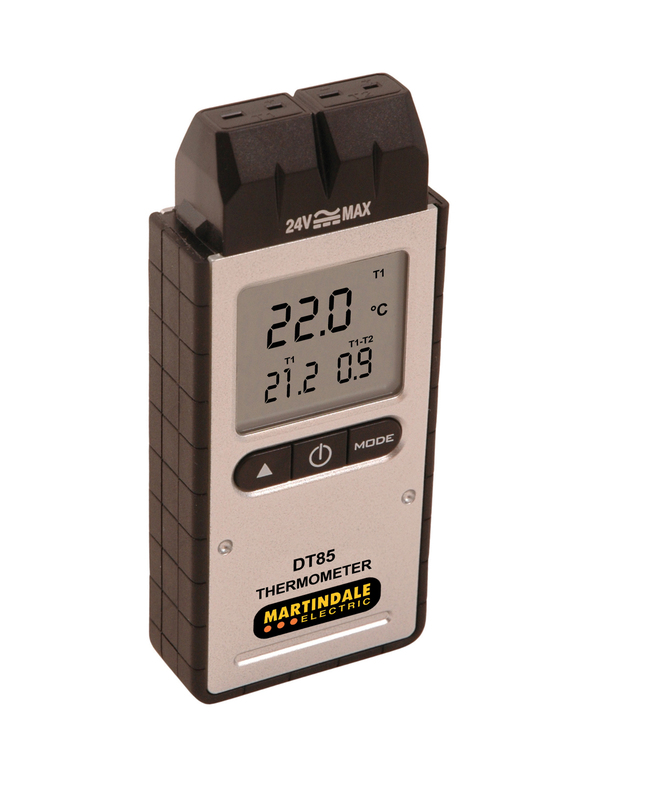 The DT85 has a Relative mode which allows the user to store the last measurement as a reference value and has a hold function for recording the maximum, minimum and average readings. For applications where an offset between the two probes is required, the DT85 allows the user to create the offset via a simple to use set up menu. There is a low battery indicator and auto power off function.